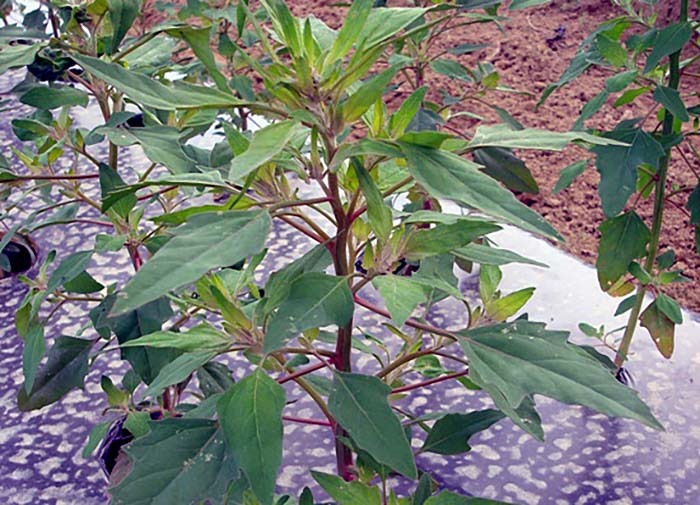 Huauzontle is an herb native to Mexico and has a very similar look and growth to lambsquarters (Chenopodium album), a very common weed in the Northeastern United States. It is grown for its seed heads which are used in several traditional recipes. Two seed sources of huauzontle were evaluated at the UMass Research Farm in 2008. The plants grew well, but the inflorescence did not readily form the thick seed heads desired by this market. This could be due to longer days here in Massachusetts. In the Northeastern United States, it is best to start Huauzontle in a greenhouse and transplant out into the field after the danger of frost.